All pumps and electrics are in excellent condition with new 2500gall bilge pump and float. The bilges are normally bone dry but some water builds up in the engine bilge from the stuffing box. The engine has been regularly serviced and the gearbox was fully rebuilt 4 years ago with hardly and hours on it since. The rig is the famous Freedom rig - unstayed twin carbon fibre masts carrying a mainsail of 475ft2 and a foresail of 382ft2. All lines are brought aft to enable single handed reefing without moving out of the cockpit. 12 volt, 6 batteries charged by: engine, solar panels, shore power Installed with static inverter. Shore power 110V and additional 240V system installed. Airy and spacious capable of sleeping up to 7 crew when saloon space bunks are brought into use. ViSpring custom made mattress in main cabin (2011) £3,500. The interior has been fully revarnished and everything in good working condition. Removable induction plates are in place on the cooker and electric oven grill in the oven all of which is easily removed and stored when underway. 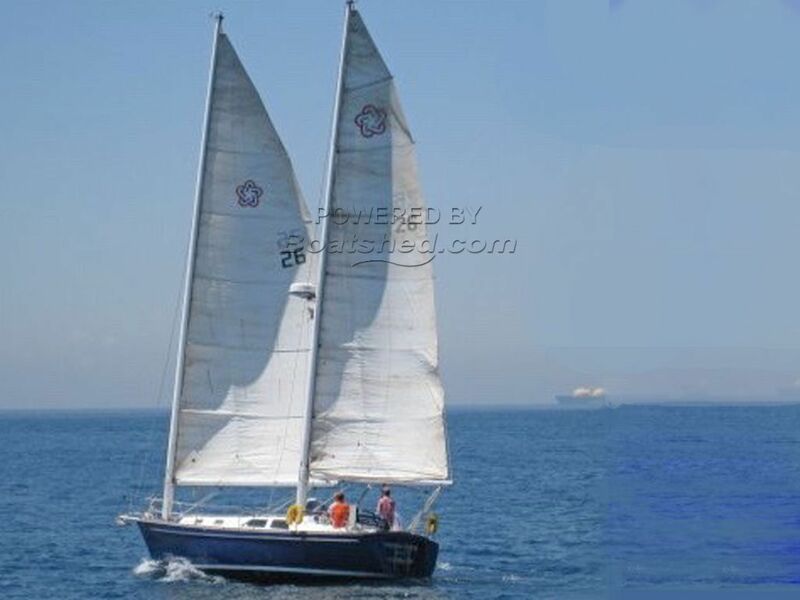 This boat is an ideal yacht for a yachtsman who likes to or needs to sail short handed. The Freedom rig - unstayed with carbon fibre masts) was specifically designed for short handed sailing. The interior is well laid out and comfortable. This yacht has been used as a liveaboard for a number of years. She is in good condition but will need a haul out before she is ready for open water sailing. This Freedom 39 Express has been personally photographed and viewed by Andrew of Boatshed Gibraltar. Click here for contact details. On Inspection and or survey when is she likely to be hauled out ? I'm interested so please respond as soon as possible.